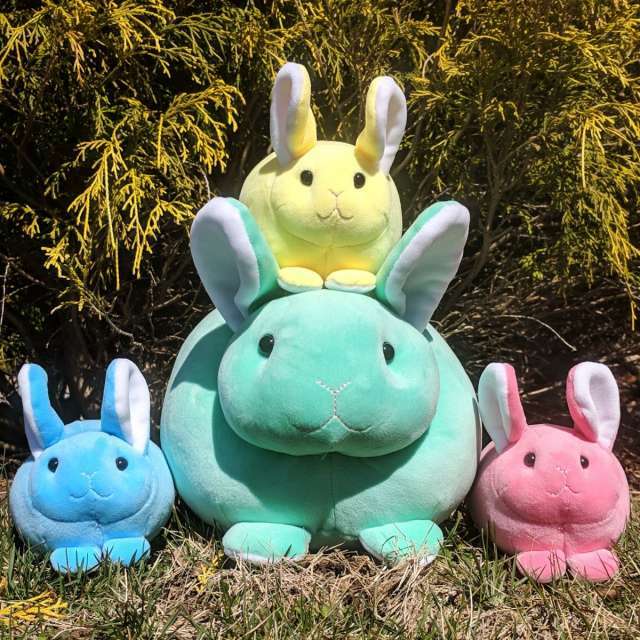 Nifty Gifties for Easter | Happy Up Inc. Marvelous, and not a lot of moola! 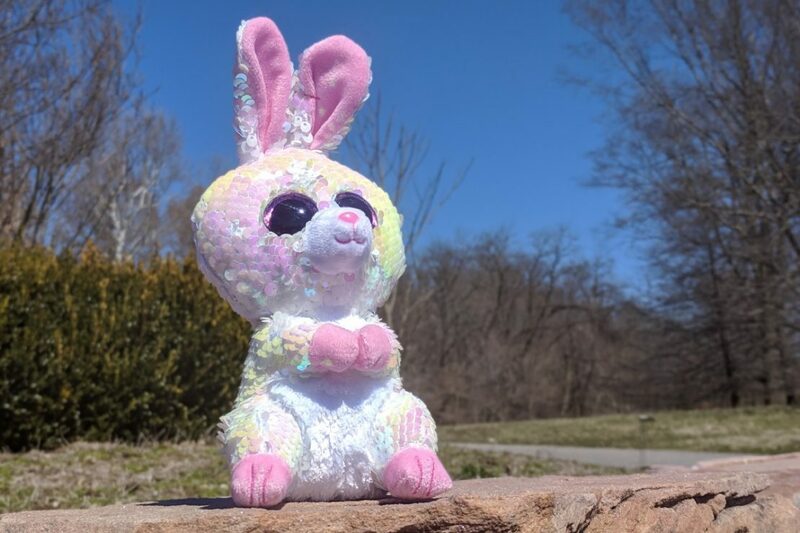 Our bunny friend here may seem flashy. Like it has no need to keep an eye on the budget. Appearances are deceiving. This is one money-savvy rabbit! 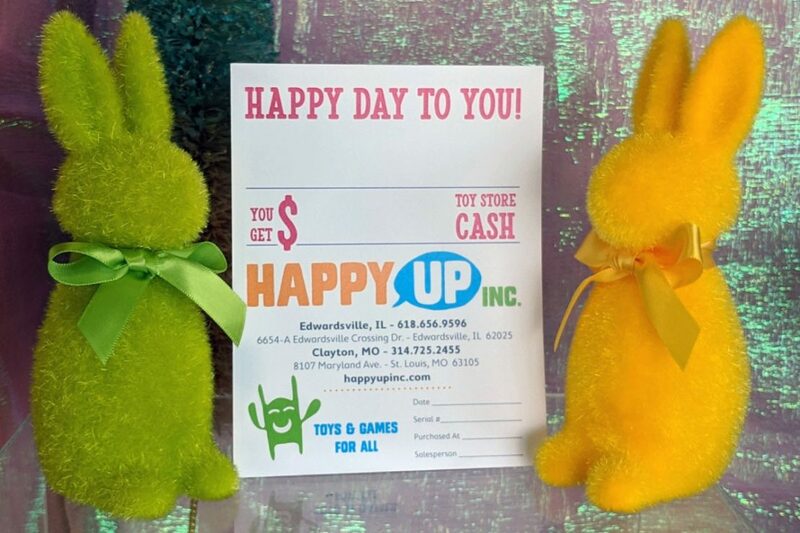 And when it needs to get shopping, Happy Up is one of it's first stops! 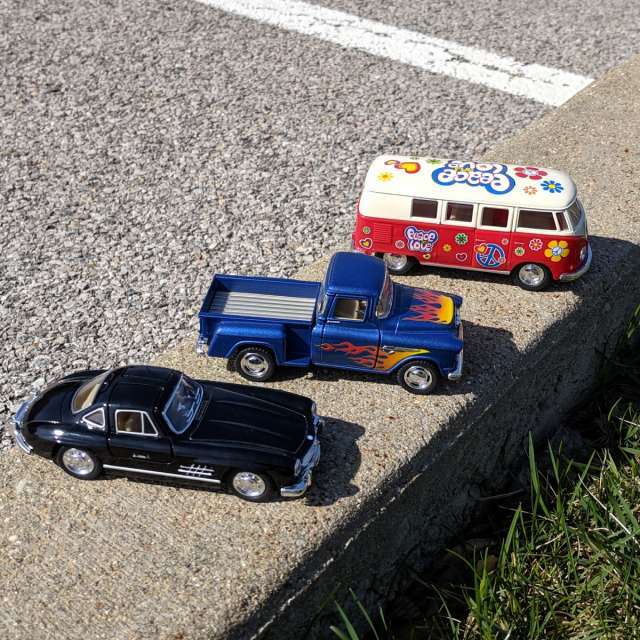 We've collected a good group of toys and what-nots that are under $25 and offer massive play value! 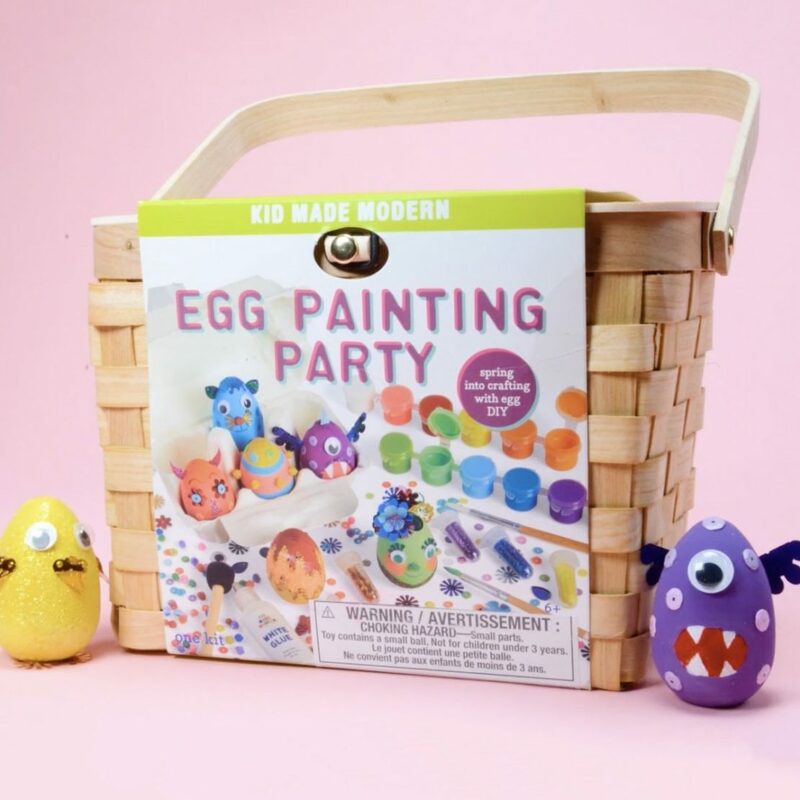 6 wooden eggs, loads of supplies, and a paintable basket. Squeeze it’s tail and it quacks! 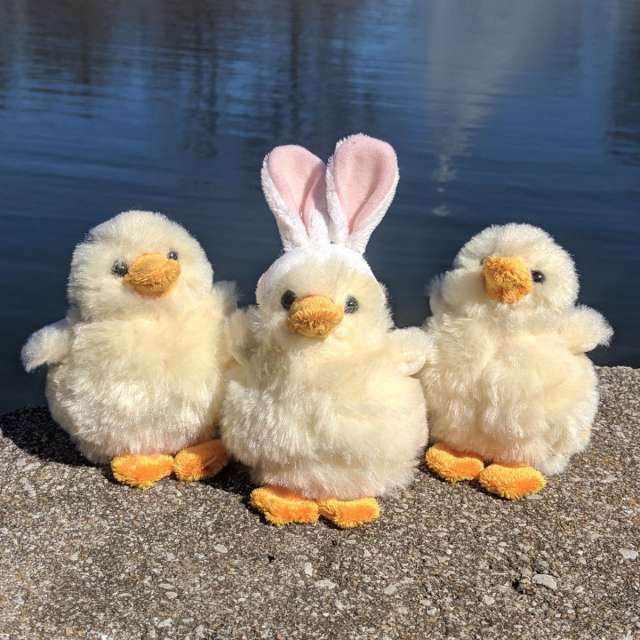 Ducklings are about 4” tall, excluding the bunny ears. 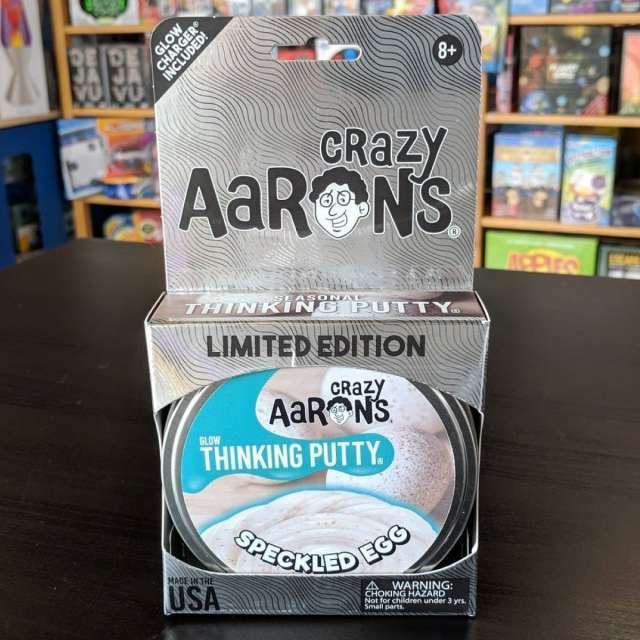 The newest limited edition holiday putty from Crazy Aarons. White putty with copper speckles, and it glows! 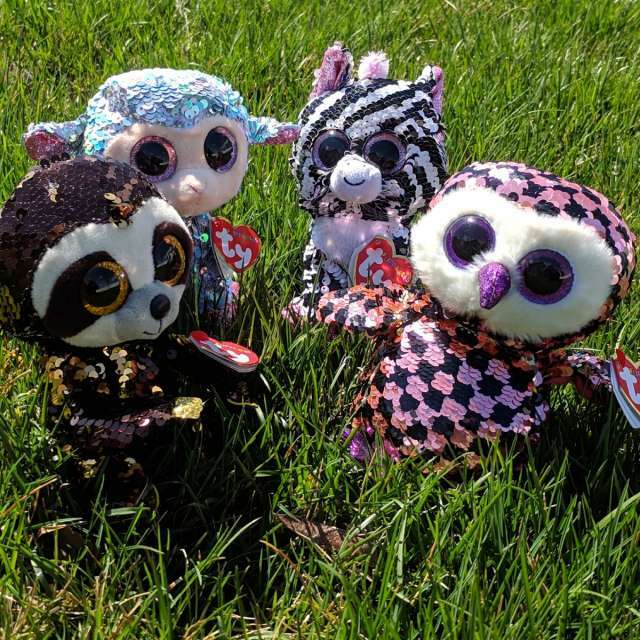 Your egg hunt could be lit! 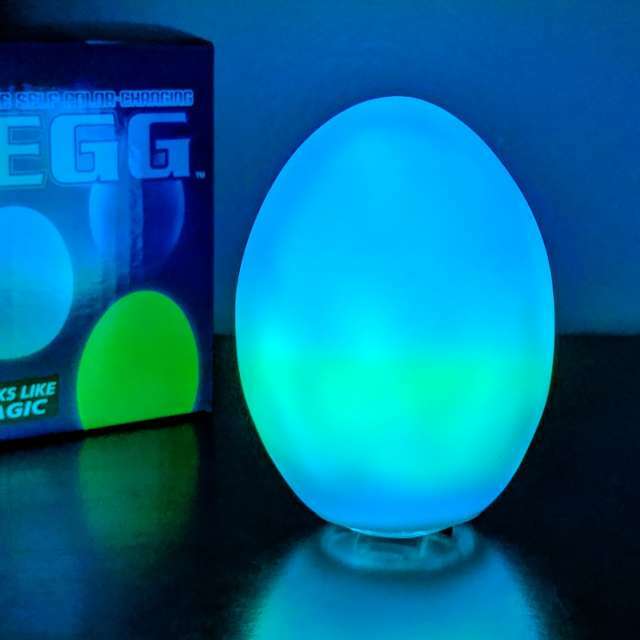 The egg-light shifts colors through the spectrum. Pillowy soft, just like a marshmallow! 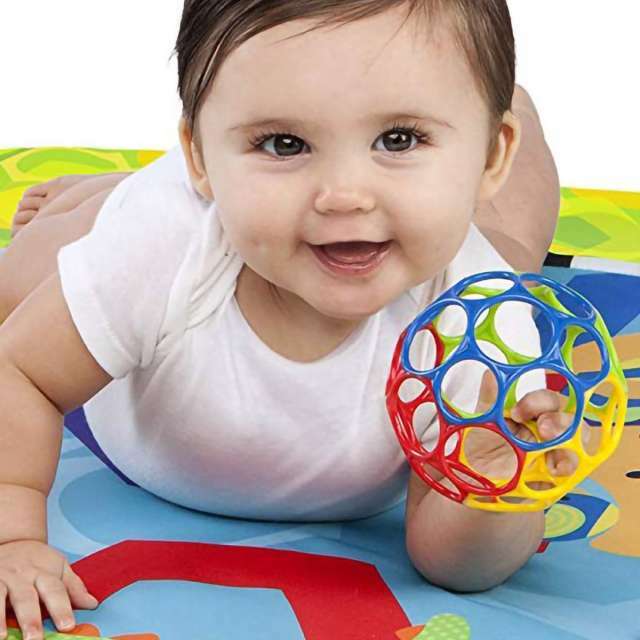 Baby gets a grip on playtime! A classic baby toy made extra special because each shape is a rattle, too! 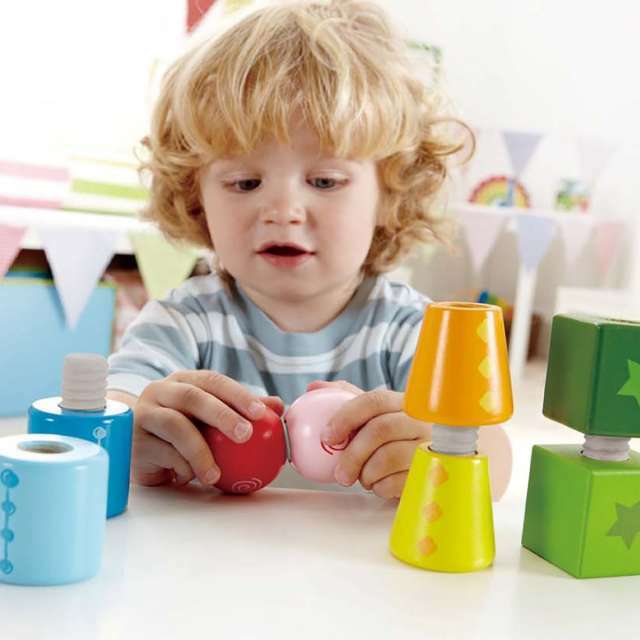 Twist these shapes together and work those fine motor skills! 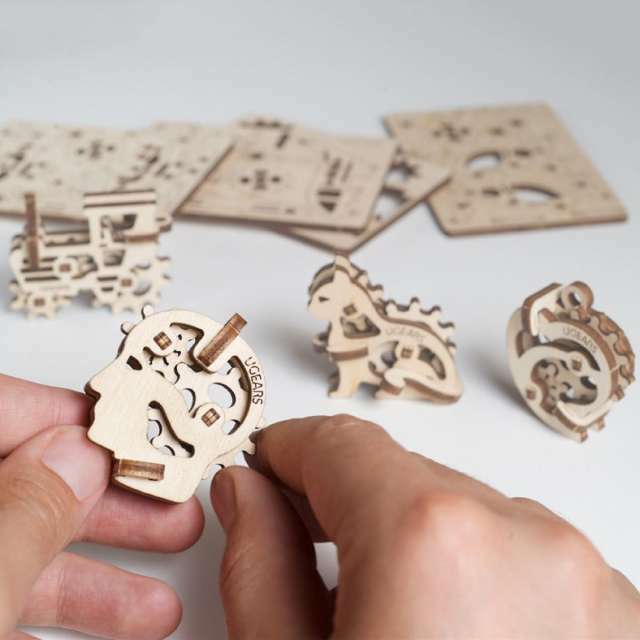 Magnet-backed gears = ideas in motion! 1 AA battery required, not included. It'll make a man of you! Serving up a delightful tea time for your best besties. 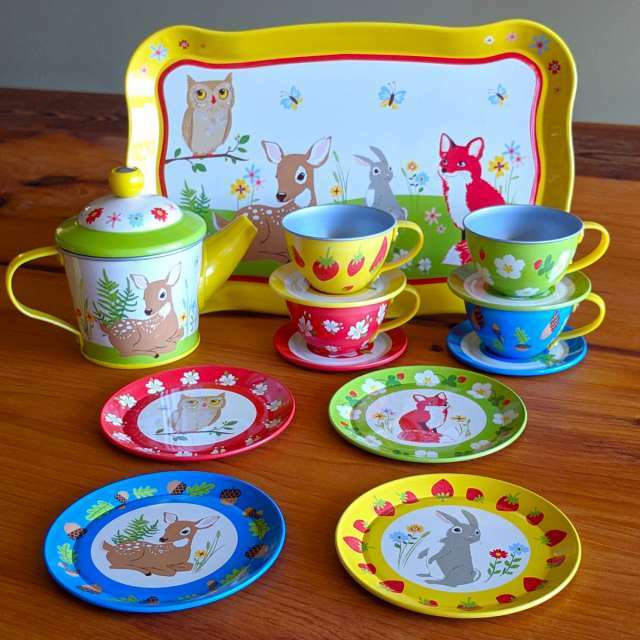 Set includes: tea pot & lid; cups, saucers, & plates for 4; and serving tray. 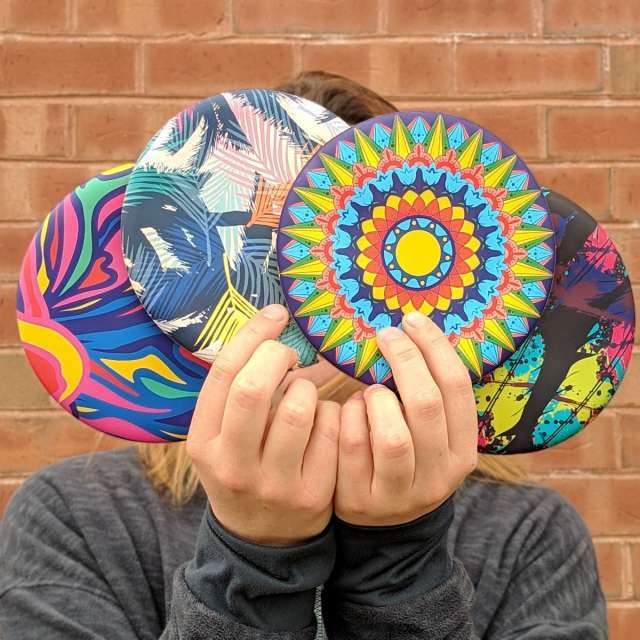 Foldable silicone flyer to take everywhere and anywhere! 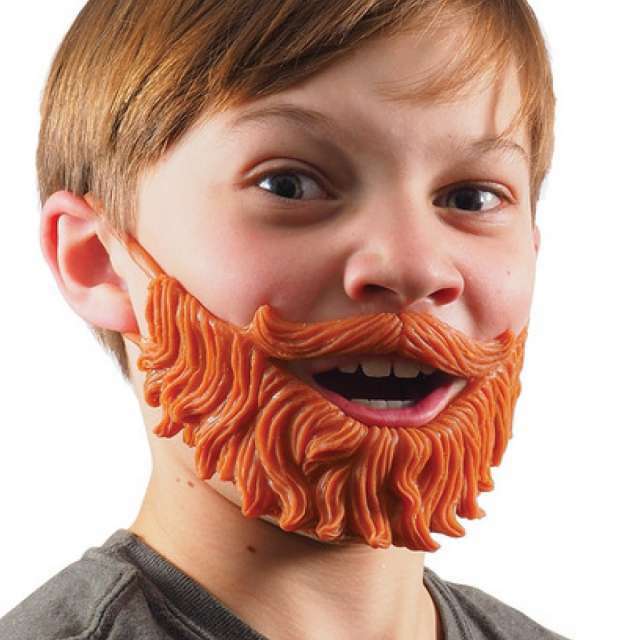 At 6" diameter, they're great for travel. 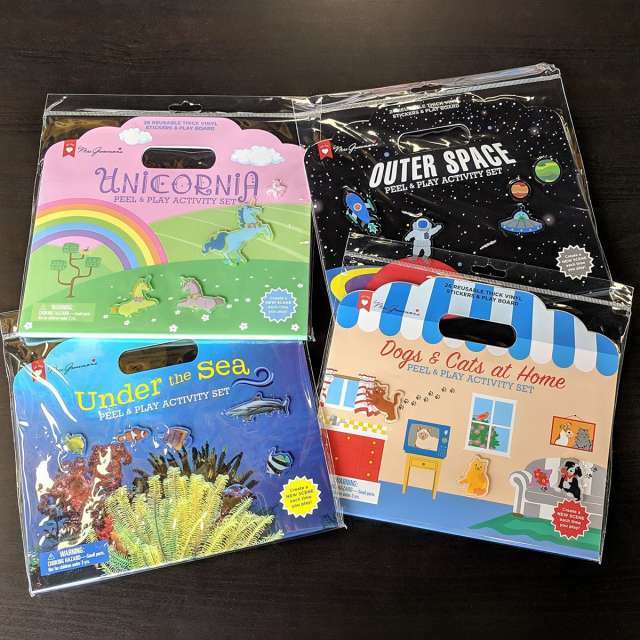 Peel and play with these sets! This set is totally aces! 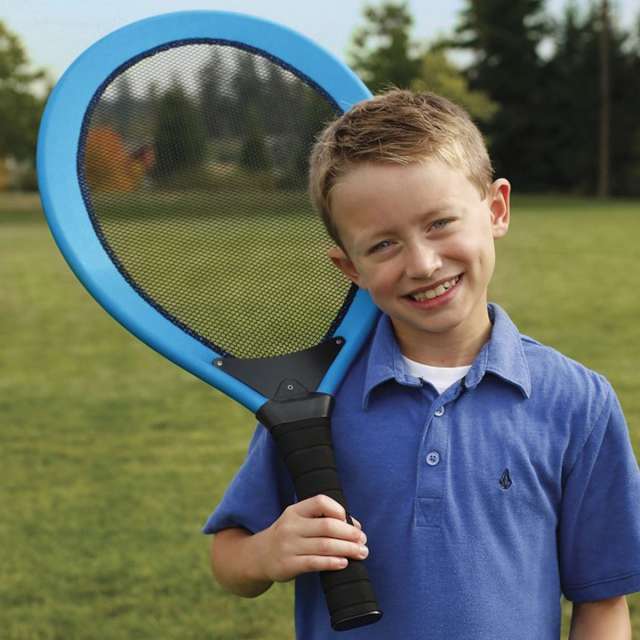 Two 27" long rackets, one foam tennis ball. 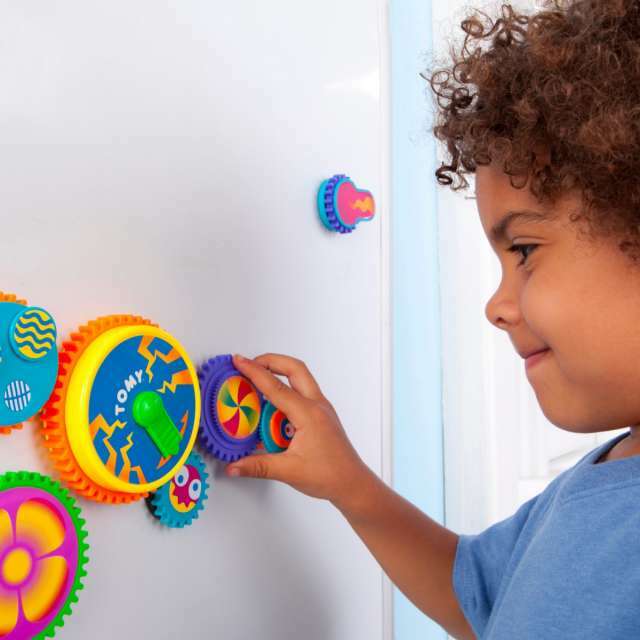 Acrobatic fiddle toys masquerading as magnets. 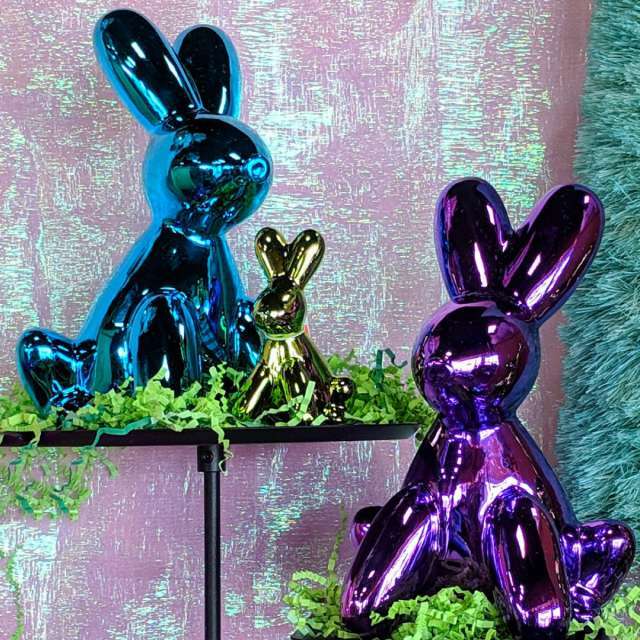 Ceramic rabbits with a brilliant metallic finish. 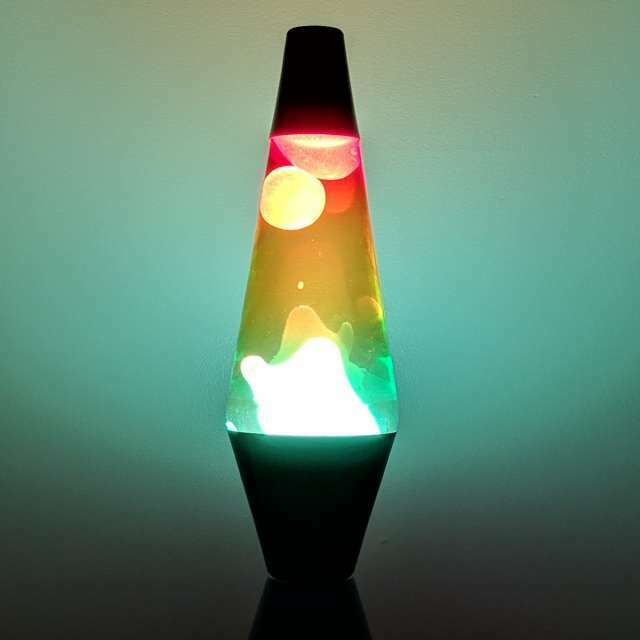 Large are about 9" tall, small about 4"
Mesmerizing, groovy, and retro (in a good way). 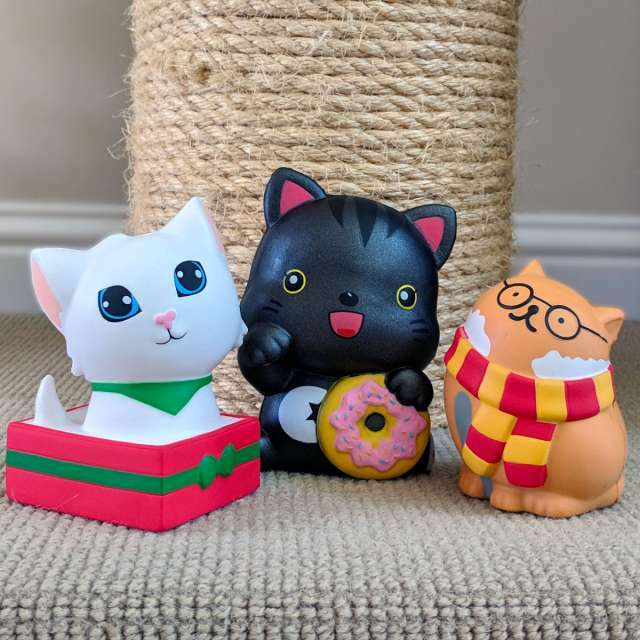 A build then fidget treat! You name the amount and they never expire. And if you don't have time to stop by one of the stores, we can take care of it over the phone! Prices shown in this blog post are subject to change.